This came out two or more years ago. How did we miss it? Well someone finally shared it with us and we love it. 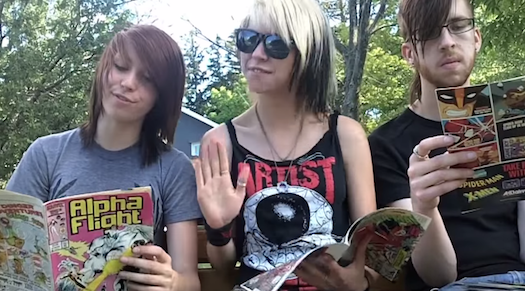 Plus, this video really gets the word out about how cool comics are. You think they really read comics? The song is by Canadian Band +Courage My Love.